Iz nebber as gud as de pikshur in de broshur, littlol wun. Sowwy. Maybe a nice baftub? Mornin bofe an congrats Shepmom! ooooooooooooo mai. ai luvs diz foto. 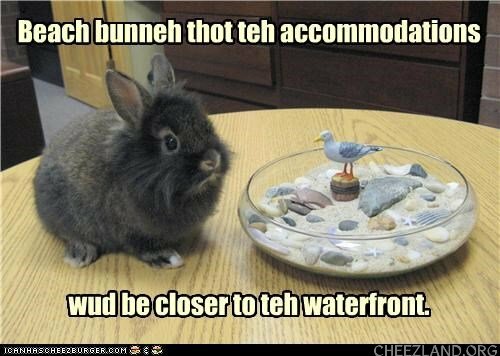 gud, gud bun, bun. aisle comfortz u, come ere. In Cheezland, the time is 12:41.